$80 per month, paid annually upfront. The best value option. 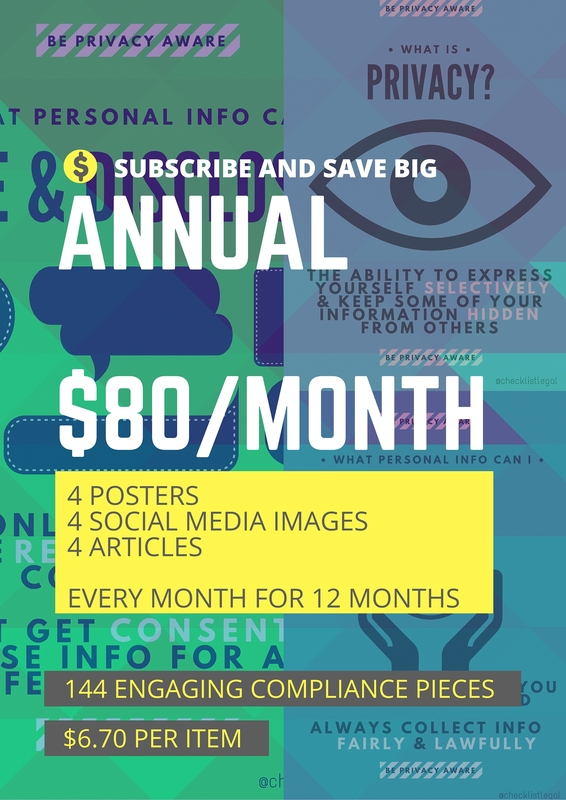 Receive the full compliance packs - posters, shareable posts & compliance articles - filled with engaging materials on a different topic every month for 12 months.